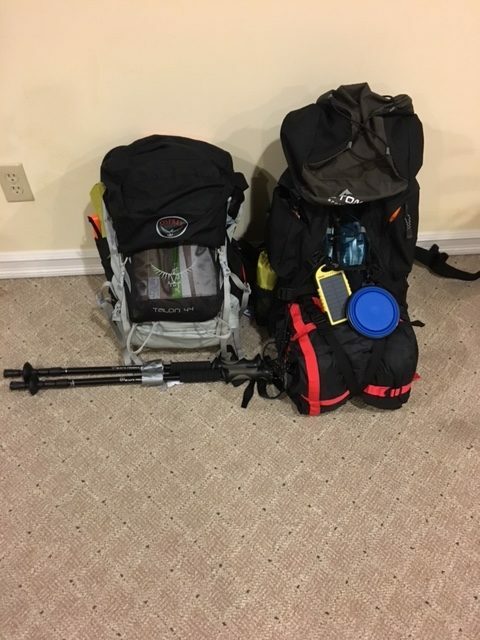 We leave the day after tomorrow, and our packs are filled with everything we need but water. So, I thought it was about time to post what we plan to bring with us. I was originally planning to do a separate post about my pup and his gear, but as it turns out he really doesn’t have any. I decided against making him carry a pack because he tends to get himself stuck in bushes with one on. So this is basically a human-only gear list. 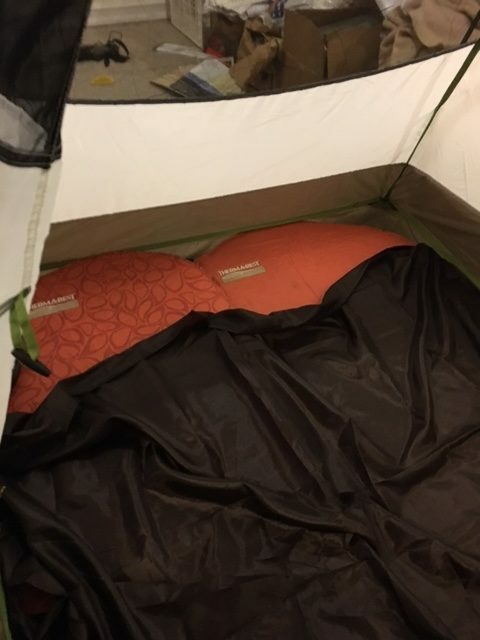 *From what I can tell we may be the only people ever not to use a sleeping bag, but this set up is actually pretty warm although heavy. 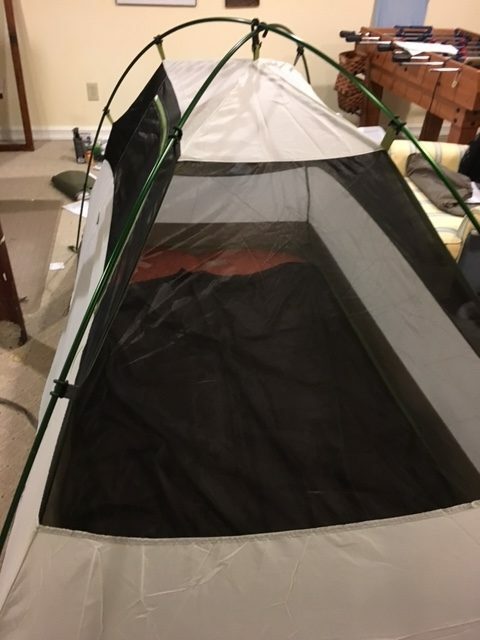 We spent quite a few nights (including one that dipped into the 20s) with this on a road trip in January and it worked well. The number one reason we went with two blankets instead of two sleeping bags or a double sleeping bag is because of the pup. He needs to be able to fit either in the blankets with us or on top of them without trapping us completely, and sleeping bags just weren’t working out. We might switch to a double bag on the northern half, but with most nights in the 30 degree range or above on the southbound section, this should work out fine. Ohuhu Portable Wood Burning Stove & OuterEQ Lightweight Pan Set (~1 lb) + two plastic spoon/fork/knife combos & collapsible bowls… we modified these to ditch a few items out of each, and the stove can be used with either wood or fire tablets so we’ll be bringing some Coghlans Solid Fuel tabs as well. That’s the main stuff. 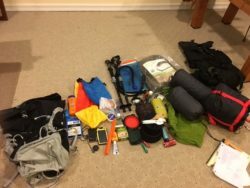 We’ve also got a little first aid kit, a power pack, a couple of squeaky tennis balls to play with the dog, headlamps, paracord ,odor proof bags, and other smaller things. 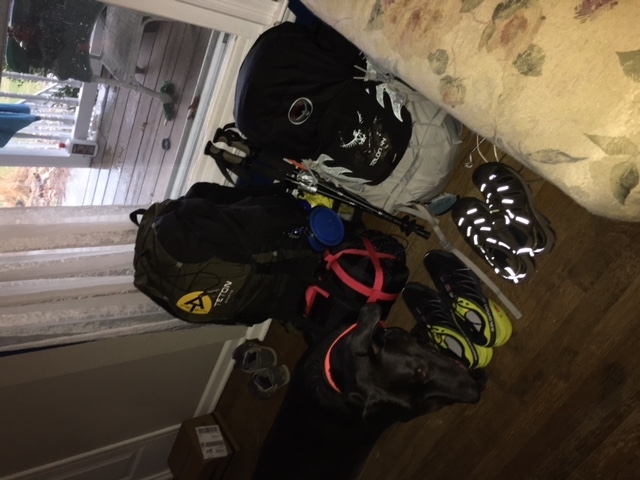 My total base weight is about 10lbs, but that’s extremely misleading because I’ll carry all of our food including about 8 lbs of dog food at the start of each resupply. With a full supply of food & water I’m closer to 30lbs but I’ll also drop weight everyday. Dan’s total base weight is about 28lbs, but he’s only got water to add to that so he’ll be at about 35 with a full water bladder. We decided on our hike right before Christmas 2015 so we were lucky to get two years worth of gifts to fill out our gear, plus both of our birthdays this past year, so we ended up spending less than $500 total on everything for the both of us. We’ll see if everything works out well over the next 2,000+ miles! We’re starting on Sunday with what seems to be the most universally disliked part of the trail (northern PA), so expect the next post to be filled with stories about rocks, and rocks, and more rocks.